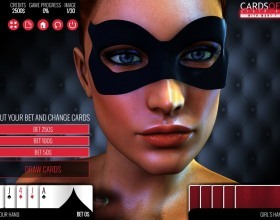 Description: Enjoy nicely done poker game where you'll meet Mary. Your main goal is to strip and see her without mask. You have to win 30 times to see all images. If you loose nothing happens so don't get bothered by bets and money too much.